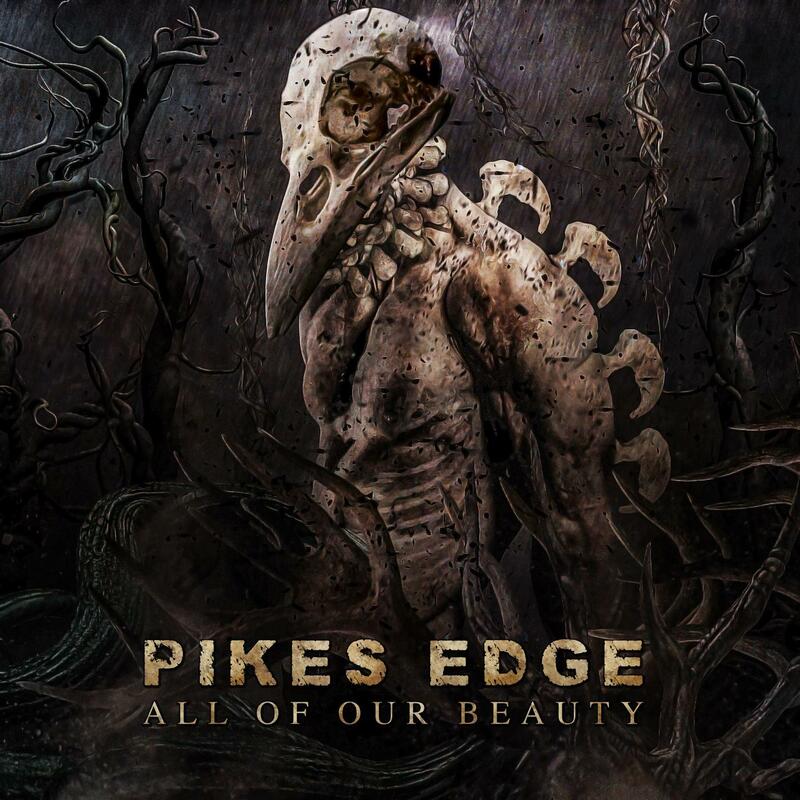 Pikes Edge - "All Of Our Beauty"
On their second output, to be unleashed on November 25, the Munich soon-to-be quintet lead by mastermind Pike presents itself dark, puristic and uncompromising. Their way there was by no means simple: After an extensive European tour with no less than U.D.O., Pike felt the urge to lead the band to a different musical direction and to give it a complete makeover. The taken path did not allow a look back as the decision to reform turned out to be spot-on: With new member, lead guitarist and songwriter Lukas leading the way, Pike was finally able to revive his unbridled ambition. Things started to heat up between the two until U.D.O. bassist Fitty Wienhold, producer of the album, managed to channel the creative flow of the newly congregated nerds and put it on the right track. The outcome of this trinity and a self-imposed ten-day incommunicado detention in a Munich recording studio goes by the name of “All Of Our Beauty” – a martial seeming beast whose cynical view on the society was translated to pure musical aggressiveness. The finishing touch came from Swedish Bohus Sound Studios, where the sound of In Flames, At The Gates or Deathstars was already shaped, and where the claws and barbs of every single song were sharpened in terms of mixing and mastering.